Metal Messenger - Metal & Hard Rock News: CAVALERA CONSPIRACY "PANDEMONIUM" OUT TODAY, HEAR THE NEW SONG! CAVALERA CONSPIRACY "PANDEMONIUM" OUT TODAY, HEAR THE NEW SONG! 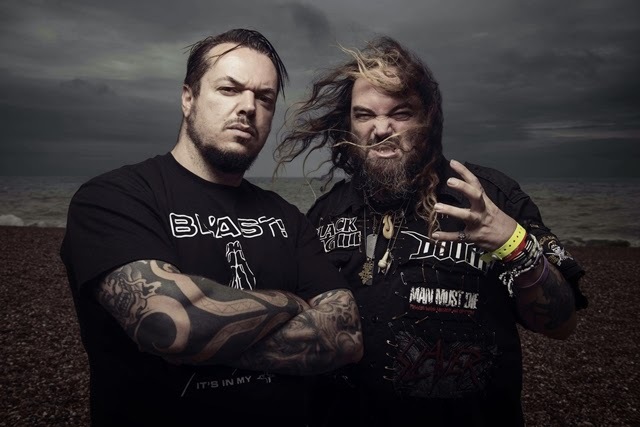 Today saw the release of the highly anticipated third album from the CAVALERA CONSPIRACY. Pandemonium their third album is available now on Napalm Records. Pandemonium can be purchase on Amazon, the Napalm Records Webstore and iTunes. No one can delude Max and Igor Cavalera anymore. The two SEPULTURA founders show with CAVALERA CONSPIRACY what it means to shoot Thrash and Death Metal straight into the world.